Most patio heaters are a few feet tall. But would you like a smaller outdoor heater — one that stays on your table, yet has all the features of its bigger counterparts? 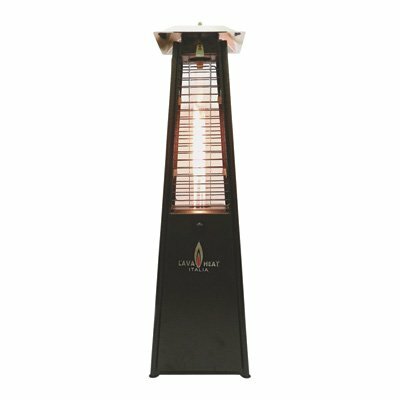 This is what you’ll get from the Lava Heat Italia Z2-HB, a tabletop outdoor heater. In a hurry? Check out the Lava Heat Z2-HB here! of the Lava Z2-HB here! – The Z2-HB is only 36 inches tall and weighs only 13 pounds. – This is from China. – Two D-batteries are required. – The Z2-HB is the mini or tabletop version of the Lava Heat Lite Z7. – It comes with an Easy Start push button. – It uses one pound propane tank, and last up to 14 hours. – Its Safe Tilt switch feature automatically shuts the unit off if it accidentally tips over. Watch the video below to see how little this outdoor heater is. – Performance. The general consensus is that the Lava Heat Italia Z2-HB doesn’t put out much heat. – Portability. Expectedly, because of its size, this mini outdoor heater has excellent portability. If you’re looking for a portable, lightweight, and small outdoor heater intended for smaller areas, the Z2-HB can be on your list of heaters to consider, especially if you’re looking for one that provides a nice ambiance and you’re not concerned about how much heat it provides. Otherwise, it’s best to stick to a full-size heater such as its bigger counterpart, the Lava Heat Lite Z7.